As we brave the winter that never seems to end, we’ve had the opportunity to review Exploring Creation with Human Anatomy and Physiology from Apologia‘s Young Explorer Series. Exploring Creation with Human Anatomy and Physiology is an elementary level Anatomy and Physiology book that gives glory to God as children discover all that goes on in their bodies from their heads to the nails on their toes! The first thing we noticed as we unpacked our books was how complete this curriculum is. EJ quickly nabbed up the Junior Notebooking Journal and paged through it. Although he is in fifth grade, he preferred the Junior workbook since there is less writing involved. Having ADHD and dyslexia, this area can be a bit of a challenge for him. Several areas were exactly the same in both journals, including the Personal Person project that students work on throughout the weeks. This project has the kids adding layers to their “body” as they learn about each system. EJ could hardly wait to carefully cut out each piece and add it to his growing project. I found this curriculum to be well laid out and easy to follow. Designed for kids aged six to thirteen, this course fits with a Charotte Mason style of learning with plenty of opportunity for narration, both oral and written, to understand and communicate what they have learned. Starting out with the history of anatomy and physiology (just enough, not so much that a child can’t take it all in) and moving on the smallest part of us in the study of cells, this course is laid out in an order to makes sense. The lesson plan (at the front of each notebooking journal) divides each lesson into four sessions over two weeks so it can be easily completed in 28 weeks. We found this timeline worked great for us with a nice mix of reading and hands-on activities throughout each day’s lesson segment. Throughout the text, there are several “Try This” activities like the one shown above that demonstrated digestion. These are short little activities to help kids understand what they are reading about in the text. In one of them, all we needed was a piece of plastic wrap and a drop of water. The result? Something that worked like a magnifying glass to read a teeny tiny word in the textbook. In another of the “Try This” activities, EJ got out the measuring tape to see just how long his small intestine would be but realized that our measuring tape was four feet too short! He was amazed to think there are 20 feet of small intestine for his food to go through before it comes to its final (ahem) exit. or cheese when you eat them? 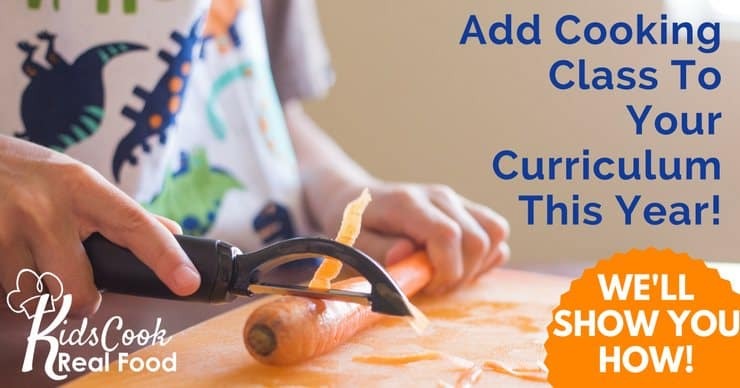 Some of the activities, like the one above where you are looking for differences in eating crackers or cheese, (it’s all about the starch) don’t take very long and are easy to fit into your day (we turned this one into snack time.) Others take a little more planning so we did adjust the order of them a bit to accommodate our travel. Because the lesson plan only calls for two days a week, it was easy to plan ahead and get things done. Having the MP3 Audio CD was terrific on travel or busy days since EJ could follow along in his text and I could listen too. Whether in the car or in the kitchen, it was nice for us to listen together and then discuss what EJ had learned. The entire text is written directly to the child so the audio CD is very conversational and enjoyable to follow along to. Each chapter also has notebooking activities, mini-books, your Personal Person project, and a larger project or experiment. These all add to the learning experience. There are also “More to Explore” pages in both notebook journals at the end of each chapter that include even more activities plus book and DVD suggestions to broaden your child’s learning. I think the guys’ favorite experiment was building a cell out of jello and candy. Although they only needed one or two pieces of each kind, they came home with a package of each, ensuring there would be plenty left over for movie treats later that night. I was impressed as EJ named each part of the cell AND described their jobs as he was putting it all together. EJ really enjoyed doing the mini-books at the end of the chapters and I loved that they encouraged him to look back in the text for what he had learned and to check for the correct vocabulary. He isn’t one that likes to review what he has done so this curriculum worked very well for us. These mini-books are featured in both versions of the notebooking journals, a place for kids to review what they have learned and help make their journals something they can use and refer back to about what they have learned. There are several different styles to them as well and EJ keeps looking ahead to see what he will be putting together next. We have begun using the regular notebooking journal as EJ becomes more confident in his writing (and sees some of the fun word puzzles he can use to show all he has learned!) The copywork included in both notebooks is certainly a help in the right direction. 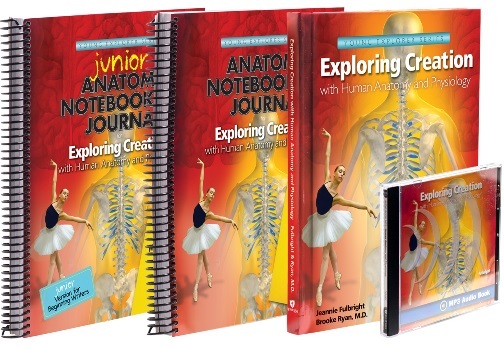 Having the Anatomy Notebooking Journals has been very helpful and made things so easy for us to follow. I understand the textbook contains everything a family needs to complete the curriculum but having the writing templates, mini-books, and other activities (like the anatomy vocabulary cut and paste windows) certainly help keep EJ interested and motivated. This site also includes blank notebooking journal pages, a scientific speculation sheet, and a field trip sheet that you can print and use to do some of the notebooking exercises. Having the scientific and field trip sheets for printing is very handy and (for me at least) easier than copying them out of our coil bound Notebooking Journal. I had heard good things about Apologia’s science curriculums from other homeschooling moms but hadn’t had the opportunity to use it before now. I am so happy we were chosen for this review and pleased to use Exploring Creation with Anatomy and Physiology in our homeschool. This curriculum is a wonderful fit for our family and I’m happy to recommend it to other homeschooling families. I invite you to click on the link below and read what some other Review Crew families have to say about this terrific product.